Our logo consist of a gear set on a black background, a bolt, and an atom set on a blue background. The gear represents the mechanical processes involved in the extrication of geological elements or granite. The process includes excavation with machinery, crushing the raw material, screening the material to separate sizes of granite and transporting the materials to stockpiles and eventually loading material onto vehicles for delivery. All of which uses mechanical gearing to complete. The electrical bolt represents the energy required to perform the processing of materials. The atom represents the smallest portion of mining, the elemental structure of granite. Finally the blue background represents water and it’s application to the material to manage the dust that is created when you crush rock. 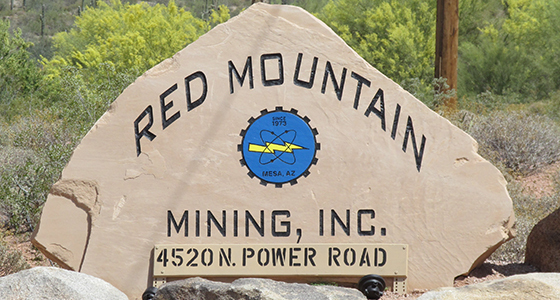 Our Sign consist of our name “Red Mountain Mining, Inc.”, our logo, and our address etched onto a sandstone boulder. As you are traveling North on Power Road heading to the Salt River you will see our sign on the left (West) side of the highway. Our sign is located at the only entrance to our property. We recently repainted our sign. Let us know what you think. 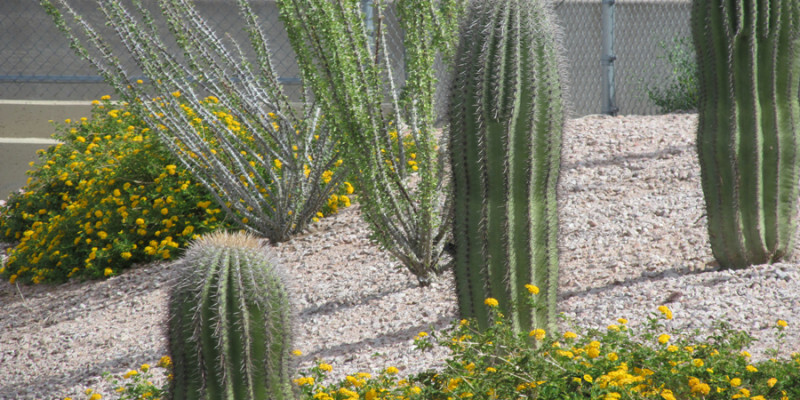 Our ADOT Desert Gold Minus Spec is a blend of our 1-1/4″ Desert Gold rock and Desert Gold minus that meets the ADOT spec for freeway material. 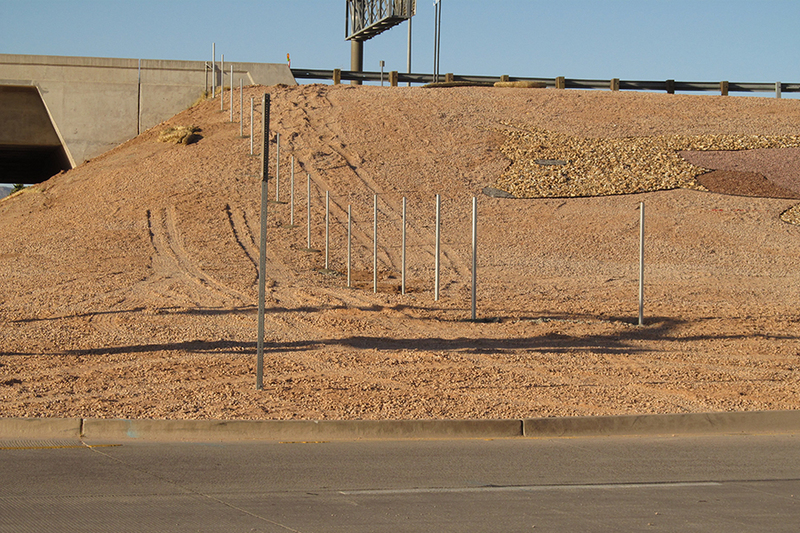 ADOT Pink Coral Minus Spec is a blend of 1-1/4″ rock and minus that meets the ADOT spec for freeway material. 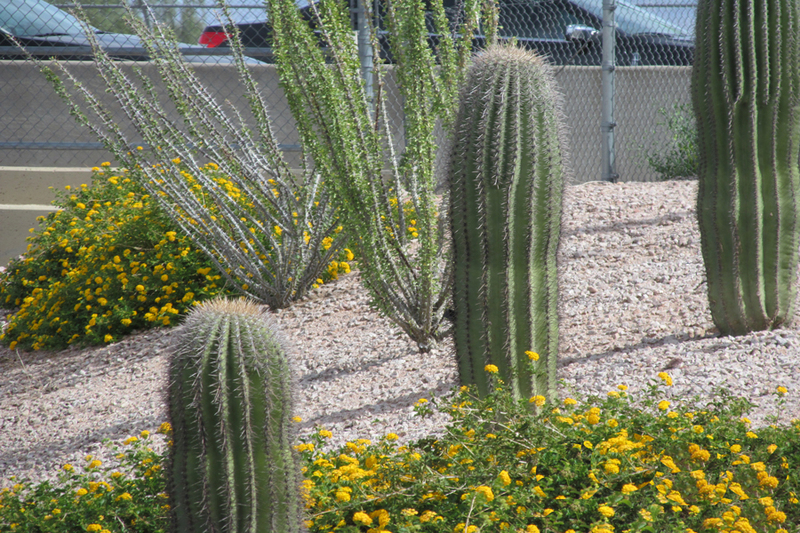 Our ADOT Pink Coral Minus Spec can be found on many freeways here in the valley. 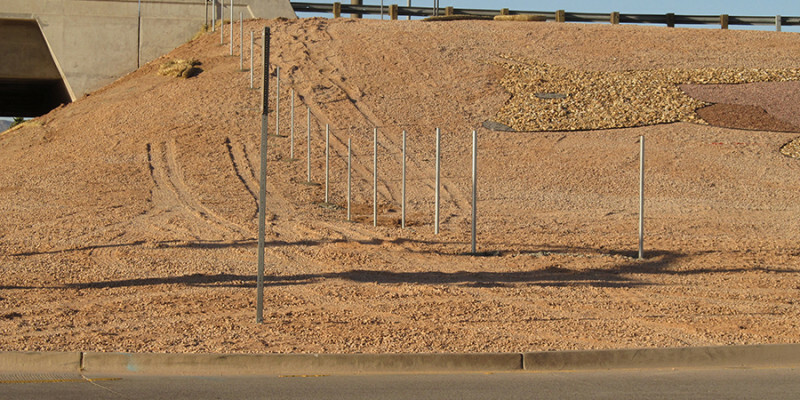 Red Mountain Mining was the first pit in Arizona capable of providing Specification material (Spec) to ADOT for the Valley Freeways. Because we maintain high quality and color standards our material can be specified to pass rigorous sieve testing and sampling. Need a Spec for your ADOT or Government project. Call our salesman Dave to see how we can help you meet your spec.